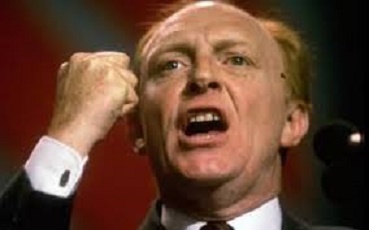 Former Labour leader Neil Kinnock has described reports of him being banned from voting in the forthcoming Labour leadership contest as “a storm in a teacup”. “I don’t even care.” He confirmed. Mr Kinnock is understood to have failed a series of increasingly stringent tests designed to weed out people who might be voting to cause trouble. The decision comes amidst concerns regarding a vetting procedure that has left many politicians and media personalities such as Russell Brand, Boris Johnson and David Willetts unable to cast their vote. One conservative party member said the rebuttal of his vote was failing to see the bigger picture. “How do you know I’m not a labour supporter who joined the conservative party to vote in their leadership elections. How do you think Iain Duncan Smith got it? And this is all the thanks I get.” He told us. Leadership hopeful Andy Burnham defended the decision to get rid of people unlikely to vote for him.